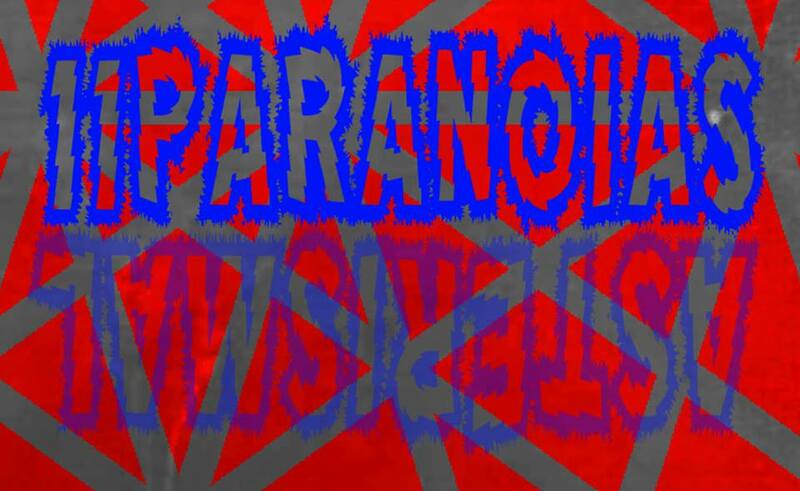 11PARANOIAS, the U.K.-based deliverers of transcendental psych-doom, announce the eventual arrival of the next chapter in their otherworldly pursuits of experimental audio. ‘Asterismal‘ is set for release from Ritual Productions on March 15th and is sure to elevate the collective consciousness of those that appreciate psychedelic drone music. At this time, we are sharing the album artwork and details, along with a stunning video trailer for the album. The recording and its packaging are clearly unlike anything else before them, a combined work of multi-dimensional artistry that melds aural and ocular aspects in a way that obliterates perceived limitations. Together, they are an unprecedented work of immersive mystical elements that act as liberating doorways in escaping our own cages of consciousness. ‘Asterismal‘ was recorded and mixed by Wayne Adams at Bear Bites Horse Studio, London in September 2017 and May 2018, respectively. Additional recording and mastering was undertaken by Dan Miller and Adam Richardson at XL Recordings Studio in London during July 2018. ‘Asterismal‘ will see release on LP, CD, and digital download from Ritual Productions on March 15th. Further information, including details of limited edition packages and pre-order options, shall be revealed soon. You will find each format-specific track list below.